Trust or Control? It’s one or the other. When I speak to people about the value of participating in professional learning networks (PLN), work out loud (WOL) practices, and the promise of sharing freely in order to reap the benefits of the Learning Age, I hear the same reservations time and again. The obstacles most often come down to trust. Most of all, at formal events and in conversations with individuals alike, I hear what amounts to lack of trust in one’s self. Do I trust myself to share the right things, and to be able to sort and make sense of what I find out there? This is so important. We have to give up the idea that we can control our daily forays into learning, sharing, and growing. Nor should we want to hold onto control. In order to make the most of explorations, we should prepare to encounter the unknown. It is a matter of trust that good things will happen when we give up control, open to what comes. While this could be interpreted a number of ways I suppose, I’ve always taken it to mean that action is better than inaction. Making a decision can be as important as making the right decision, at least in most circumstances. That is, if we do the work of reflection, documentation, and in so doing allow it to inform what we do at similar forks in the future, that is the most important action. I wrote about this some time ago, but it is worth revisiting. While it’s of course ideal to make evidence-based, informed decisions when possible, we live in a world of novelty and experimentation. We are constantly faced with decision points that are unlike those we have encountered previously. The worst thing we can do is to be paralyzed by indecision. Make a choice, note how and why you made that choice so that you can create your own evidence for next time. Then, do your best to make the decision work as best as possible. That way, once we are past the fork, we have a trail of actions and outcomes that we can reflect on the next time we face a similar divergence on our path (and there will be many!). Peter Senge, in The Fifth Discipline and elsewhere, talks about a double loop of learning, and if we want to dress up our Yogi’ism we can overlay Senge’s principle to it. Take the fork, make the choice, but use the data you collected from previous choices to consider the assumptions and underlying reasoning that steer things left or right, and build your next decision on the knowledge (living in the people, the outcomes and the technology at hand) to create a constant updated loop of what you know and you apply it. Individuals and organizations need to thrive in a constantly-changing set of circumstances. If we wait for the perfect choice to reveal itself before acting, we are doomed to the dustbin. Act based on the information at hand, and learn from the outcome(s) for the next fork. 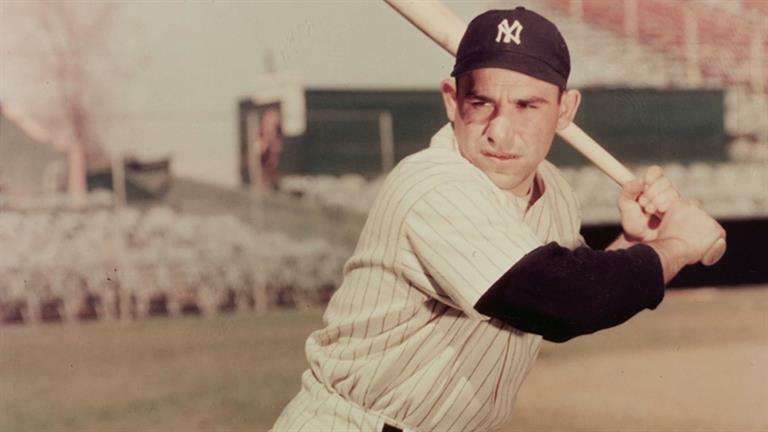 Rest in peace, Lawrence Peter “Yogi” Berra. The term coopetition has actually been around for quite some time, as strange as it may seem. Going back to at least the 1930s, the word was coined to capture the idea that those who we compete against are in fact our partners in developing technologies and processes. We may fight fiercely to protect our trade secrets and to differentiate ourselves from our competitors, but we all gain from new developments. Think Microsoft and Apple—the mouse, windows, directory systems, tablets, product design—both benefit from “stealing” from the other. The point is that we are not insulated in our working groups, departments, organizations or the few professional colleagues who we happen to meet at annual conferences. We should seek out peers, experts and diverse members of our networks throughout our industry and across the globe. A widget manufacturer, a financial consultant or an electrician can and should learn as much from “competing” organizations as from the coworkers they see every day. We should constantly forage for innovations, learning and insights—the essence of modern work—across our networks. This is especially true of our supposed competitors. We all improve together when we cooperate through open sharing and knowledge transfer. Coopetition requires a new mindset for our organizations. Individual workers are transitory, taking their expertise with them from workplace to workplace. Institutional memory becomes less important than mining the networks for functional knowledge that may or may not exist within the walls of a particular company. The rising tide of shared knowledge and strengthening networks through coopetition really does raise all in our flotilla of ideas. The lesson: Learn through the diversity of our competitors. In my next post I’ll share some ways to achieve that openness to learning that builds coopetition. If you have been following my blog over the last couple of years (thank you! ), you may have noticed some changes to the banner and template recently. Other than the aesthetics, which I like better, I wanted to have a banner image in my own hand that represents what I’m working on in this space, and in my professional life. That said, I know that the graphics are a bit opaque. Allow me to explain. Acculturation & Alignment: Individuals must feel that their efforts are adding value to the organization, and that those efforts are nurtured in turn by coworkers, organizational leaders and professional peers. Tasks have meaning, and individuals should feel a part of something larger within a set of cultural cues that enable growth and autonomy. 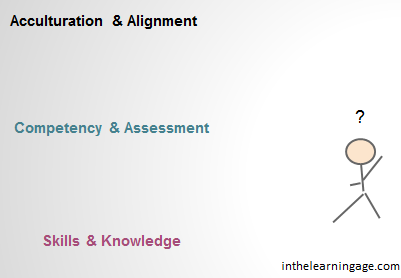 Competency & Assessment: Workers need a measure of their own competence and a way of assessing and measuring the growth of new competencies over time. As we move to an increasingly automated workplace and rote tasks are replaced by automation, workers’ sense of worth (competency) must grow, adapt and change over time, in internally and externally measurable ways. Stagnation is the enemy not only of the human spirit but of organizational livelihood. I’ve been watching the #blimage activities from the edge, but decided it was time to jump in and test the waters. I read Clark Quinn’s response to Jane Hart’s challenge last week (nicely done! ), and decided to take him up on his open challenge to join the pool party. The #blimage (blog image, I suppose) idea is a kind of Rorschach test. An image is presented as the challenge, and the responder conjures a way to make sense of it as metaphor or interpret it as a way to look at our work. This process works well for me, as it aligns with my own approach to working, thinking and learning (all the same things, really): 1) the key is acting, not the prompt for the action, 2) artifacts don’t carry their own meaning, only the meaning the observer assigns (why curation is so critical) and 3) we should share ideas transparently before they have a chance to set into solid ideology or methodology (#WOL/#LOL). 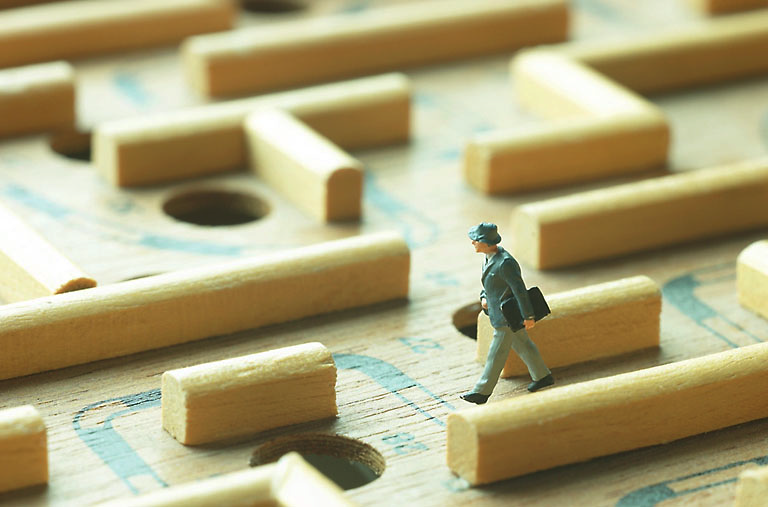 We all work through the maze of our professional and personal lives. Obstacles present themselves in the forms of walls to overcome and holes to avoid falling into. The danger is in planning moves too far in advance. Here, our figure seems prepared, alert, and ready to take on his challenges. His gaze is up and to the right, on where he’s headed. He’s prepared to execute his plan to navigate to his goal, quite unaware that he is one stride away from falling into the hole directly in front of him. He’d… we’d… OK, I’d… be much better off focusing on the task at hand and negotiating the small work-arounds as they present themselves rather making long-term plans to achieve a goal that may very well be an ever-moving target. The skill, then, is to have a navigable path, or at least a direction in which to set sail by setting a few easily sighted principal points of orientation by which to measure progress. (I wrote about navigation by stars here a while ago as a similar metaphor, but perhaps it’s time to revisit that theme.) Then, be prepared for what lies directly at the fore, and have a plan should you find yourself falling into a hole. So, chart a course by which to navigate. Avoid the pitfalls that you may not see directly in front of you. Be prepared should you need to pick yourself up after you fall.